The Towards Work programme will support you with those first steps towards gaining employment. This is a non mandatory free service that you can become part of. Our dedicated teams are based locally to you to make accessing services easier for you. Once we have confirmed that you are able to access our programme through some initial checks, you will receive one to one personalised support to overcome barriers that are holding you back from employment and education. 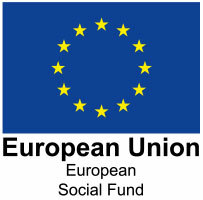 Jointly funded by the Big Lottery Fund and the European Social Fund, the Towards Work programme delivers an ethical recruitment solution with no cost to an employer and is delivered by a partnership of local organisations who specialise in supporting people into work. As a non mandatory service, participants choose to begin their journey Towards Work through bespoke, personalised, tailored and one-to-one support. Our Job Brokers are accountable and committed to ensuring each individual is ready for the placement offered by an employer and will work with you through a rigorous recruitment and selection process to ensure both participant and employer are matched. Towards Work offers bespoke, personalised and tailored solutions to support an individual’s journey towards personal progression and employment. Individuals are linked with specialist local support and benefit from continued In-Work services, resulting in job retention. Leanne works for ERS on the Towards Work Program alongside Derventio. Leanne is an Ambassador for the Program and a participant being supported by Suzi at Derventio. The aim and focus of Towards Work is to help individuals facing adverse circumstances to overcome these barriers and move forward to lead more fulfilled and purposeful lives.